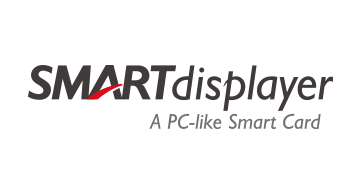 SmartDisplayer is proudly announcing the first all-in-one display card in the world that works with all mobile phones and operation systems at any POS terminals- SLEKT. We co-developed SLEKT with FinTech startup CoolBitX. It is the only all-in-one display card that can go mass production. We have already launched SLEKT in the Korea market. It stores up to 20 cards – credit cards, debit cards, ATM cards, loyalty cards, transportation cards, etc. It will bring a brand new experience for users with SLEKT APP - saving wallet space, saving money and time.